We just wanted to make it clear that this is not a product endorsement. 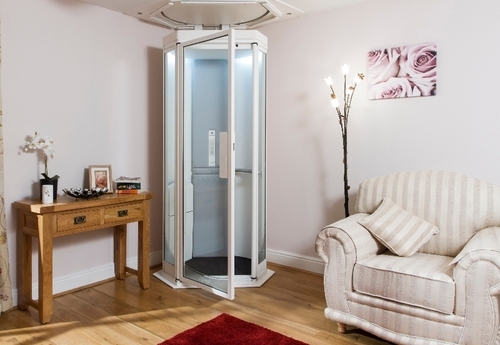 We have chosen to feature the Terry Lift not only for the clear benefit this kind of technology can bring to a disabled person, but also the fact that it looks really cool and can fit in a really small home with more than one floor. 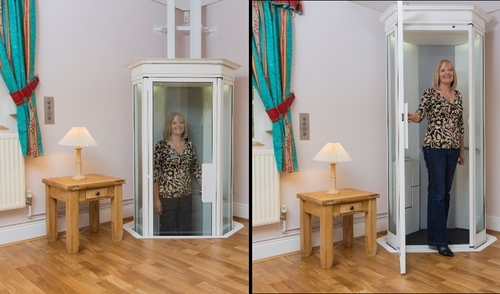 I know this will not be very popular in an age were exercising is not seen as a pleasure, but a means to keep from getting sick but, a lot of us would probably get into it and go up and down in it all day. We have added a video that gives you more information. Dear Ms Attick, thank you for the message, if you go to the top of the page and press "Terry Lift", the link will take you to their page. Please let us know if there is anything else we can help you with.